Before the great sell-off led by the Conservative government in the 1980s, there was only one place to get your electricity from, and that was the electricity board in your region. The whole electricity business, from generating the stuff in the first place to delivering it to your meter, was in the hands of a number of organisations controlled the government. 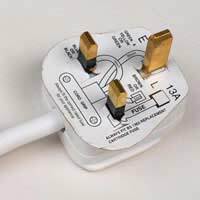 This meant that all electricity users in the United Kingdom brought their electricity from the electricity board that their supply was connected to and couldn’t buy it from anyone else. The Conservative government elected in 1979 with Margaret Thatcher as Prime Minister had pledged to de-nationalise many of the services in the country so that government could get on with governing, rather than spending their time running what they saw as commercial enterprises. In order to do this the existing electricity boards and operating agencies were split up so that responsibilities could be divided among them. The regional boards stayed largely the same, in terms of geographical divisions, but were relieved of their duties in transporting and generating electricity. A new body, the National Grid Company (NGC), was created to run the backbone of the network such as the cables, overhead wires, pylons and distribution centres. In England and Wales the power-generating organisation of the Central Electricity Generating Board was split into various divisions to run the power stations and connect to the National Grid. Most of this happened in 1990, although the nuclear power stations and other nuclear assets were held back from privatisation until 1996. In Scotland the separation was slightly different in that two companies were created, one in the north and one in the south, that ran all the electricity operation in their area except the nuclear assets. This created a system whereby companies could generate power, or distribute it to homes, by linking to the core company, the NGC. The second stage of the transition was to open up the links to the NGC (deregulate) so that other companies could come in and compete with the incumbent companies. This allowed both the original electricity boards, who have merged and bought each other out in the intervening years, and new companies that believe that they can offer something to the market, offer their services to any customer. In many cases the new companies are those who were already in a similar market, for example the gas companies. They were supplying a service and had the necessary selling, billing and customer service operations to move in to electricity relatively easily. There are other new companies that have entered the market because they think they can offer something new that will encourage customers to buy from them rather than anyone else. The green or eco-friendly companies are a good example; they operate carbon-offset schemes and buy in their supplies from generating companies who are using renewable sources to make the electricity they sell. Another example is the companies who have set up to target the commercial market, creaming off the high value customers who depend on electricity to power their factories or light their office and run their computers. The upshot of all of this is that consumers, whether domestic or commercial, can now choose their supplier and switch to another one to enjoy lower prices or to support something they believe in, as with the green suppliers. It's not all plain sailing though, as many of the new entrants to this market have either pulled out of the electricity market or gone bust. So care and research is needed before deciding when and where to switch. There are indeed a lot more options for consumers, but not necessarily more choice. The problem with private utilities is that customers are rapidly sorted into big high value and small low value customers. The big customers are courted with discounts and competitive fixed price contracts. The smaller customers are lumped together and charged much higher prices. Regulation is supposed to ensure competition and fair pricing, but the companies get around this by making tariffs so complicated, many customers don't understand their bills, much less how they compare with others. Utilities companies make huge profits, (just check the dividends they pay share holders) but we are already being warned our infrastructure is decrepit. If these services were still in public hands, those profits could have been ploughed back into infrastructure. Now we will face a tax hike to pay our share of the cost. So the cost of energy now extends beyond what is written on the bill. The obvious solution in the medium term is nuclear energy, but I would not like be the one trying to sell that to the public.